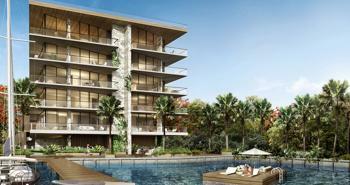 The Fairchild is a brand new luxury condominium coming to enhance the timeless tropical gem that is Coconut Grove. This extravagant residential masterpiece was created from the inspiration of the Grove’s first botanical pioneer, in a collaboration between cherished local architect, Max Strang, and renowned interior designer, Rafael de Cárdenas. 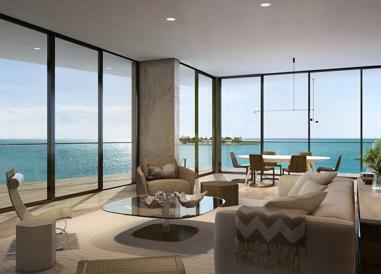 The Fairchild boasts an exclusive collection of twenty-six splendid waterfront residences offering uplifting amenities and glorious views of Biscayne Bay. 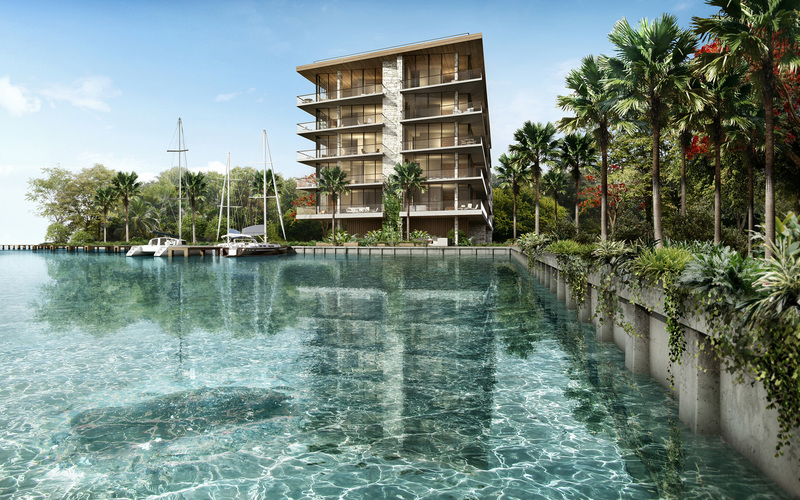 The Fairchild embodies tropical modernist sensibilities designed by architect Max Strang, who adds to the structure natural stone and wood, combined with a regal vista of the bay and the surrounding lush landscaping. 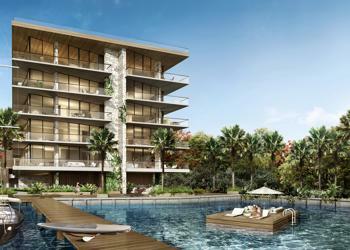 The roof decks are designed to offer unobstructed water views and enhance idle days under the sun with swimming pools and cabanas, along with quiet afternoons under the shade of tropical landscaped gardens. Only minutes away from Downtown Miami, Brickell and the famous beaches of Key Biscayne and Miami Beach, The Grove is amidst a vibrant cultural renaissance. Yet, its ardent connection to the past maintains the humble, small-town vibe for which The Grove is famous. 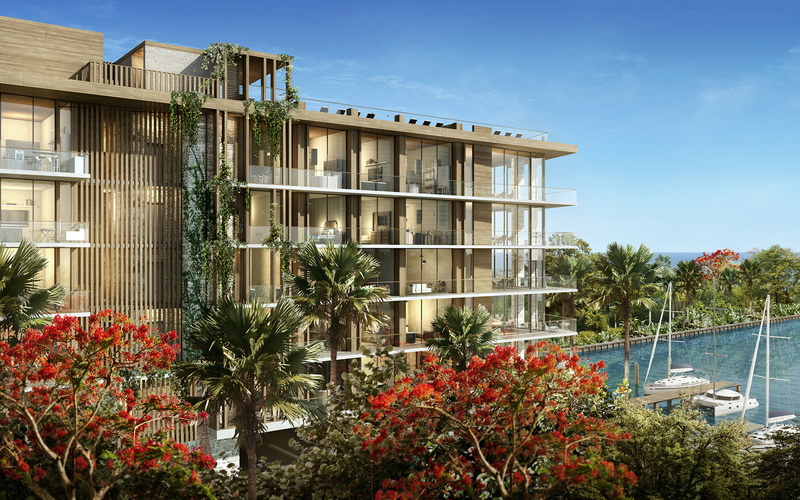 Nestled together against the backdrop of shimmering ocean waters and magnificently canopied landscapes, Coconut Grove is a paradise to call home. 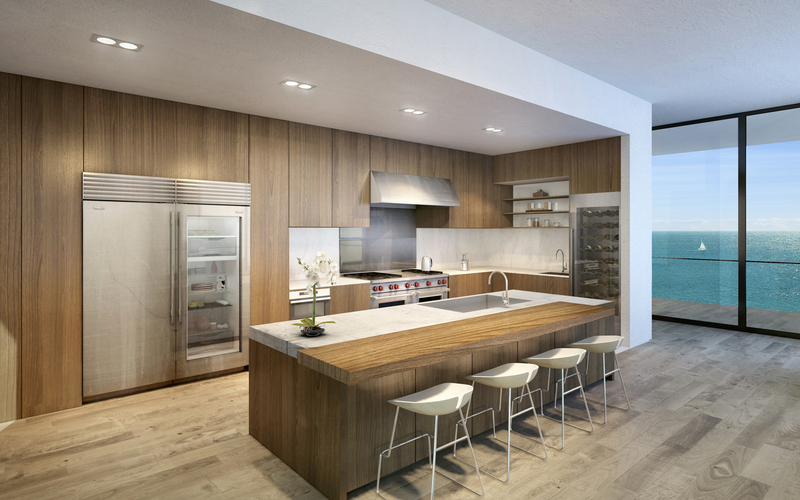 The amazing contemporary kitchens at The Fairchild feature: Wolf gas powered ranges with standard and convection ovens, stainless steel Sub-Zero refrigerators, freezers, wine coolers, and ice makers. Crafted cabinetry by Poliform and fixtures by Dornbracht round off this perfect culinary canvas. The building’s elegant master baths exhibit: free-standing soaking tub by Duravit™; double under mount sinks by Duravit™ and much more! 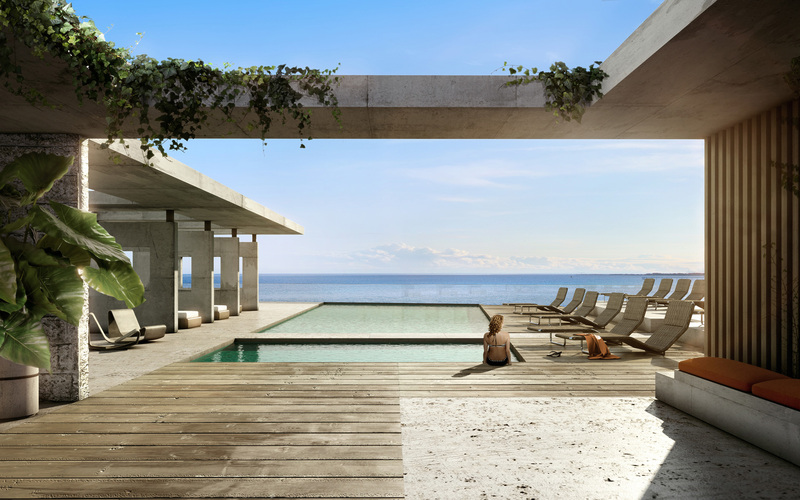 The Fairchild is designed thoughtfully to become your ultimate sanctuary. 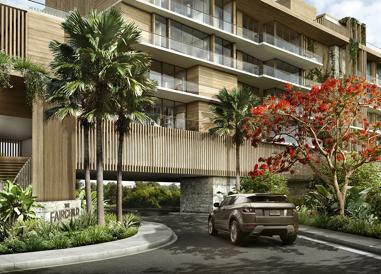 Every residence offers open and airy floor plans with 11’ ceiling heights, great finishes and details including natural stone floors, solid wood doors, LED lighting, modern bathroom vanities, and walk-in closets. Expansive and engaging views set the backdrop to open living and dining areas that surround a true chef-inspired professional kitchen. 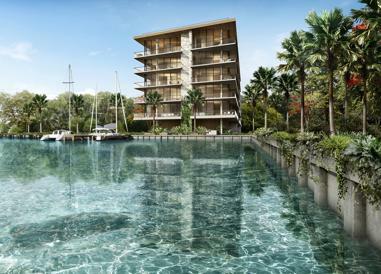 At The Fairchild you have the pleasure to explore the building's waterfront by kayak or set sail for the open sea from the building’s private dock. 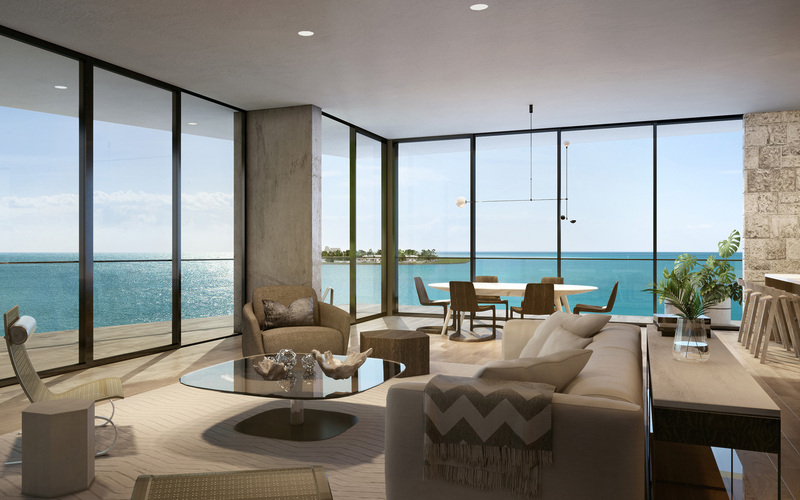 Residents at The Fairchild condominium can watch the eastern sky filled with endless stars from the bay lounge at dusk. 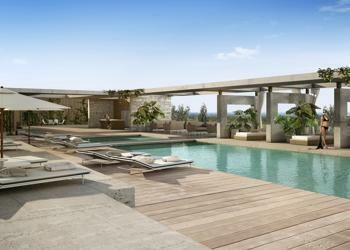 The Fairchild condo features a sun-drenched rooftop pool deck with private cabanas, sun deck and stunning swimming pools complete with full-service amenities. 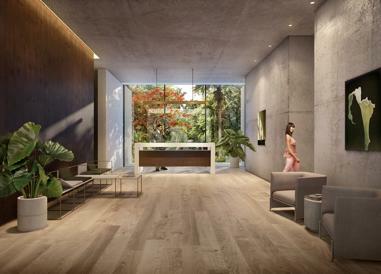 Residents at The Fairchild are pampered at the building’s holistic wellness spa enhanced with hammam, steam room, sauna, and serene treatment rooms. Sq Ft Range: 1,714 - 4,114 Sq. Ft.